Ensure your company is accessible to Deaf customers. Comply with your legal obligations under The Equality Act. Whether you are a private company, a public-sector service or an NHS provider of health or social care, we can provide a Deaf Awareness session tailor-made to meet your needs. We discuss what it means to be a Deaf customer or patient, knowing what laws apply to your place of work, and think about practical steps every employee can take to make the business accessible and welcoming to a Deaf British Sign Language user. The majority of the session is ‘hands-on’ learning BSL signs. We will teach the signs you need, and incorporate Deaf awareness issues which you need covering. Whether you need 1 hour, 2 hours, a half day, full day or multiple sessions; we will design bespoke training to suit your needs. Our workshops are a great way to find out about issues that affect Deaf friends, family members, employees, work colleagues and customers, improve your communication skills and comply with current legislation. Why use Dot Sign Language? 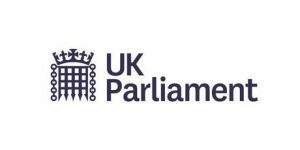 Providers of Deaf Awareness and British Sign Language training to HM Government. British Sign Language teachers to The Department For International Development. 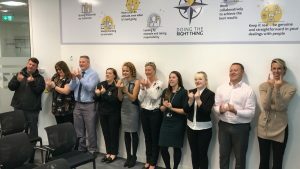 Dot provided Inclusion, Deaf Awareness and BSL training for Willmott Dixon who want to make sure they are accessible to Deaf colleagues and customers. 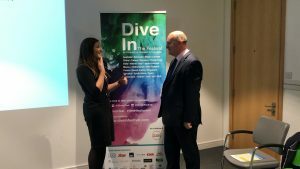 Lloyds of London invited Dot to present at the Dive In Festival for Diversity & Inclusion in Insurance. Please contact us for further information about bespoke Workplace Training.